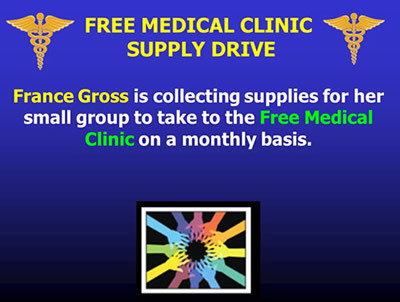 This benevolence activity is sponsored by the small group hosted by Frances Gross. Please see Frances for additional information. 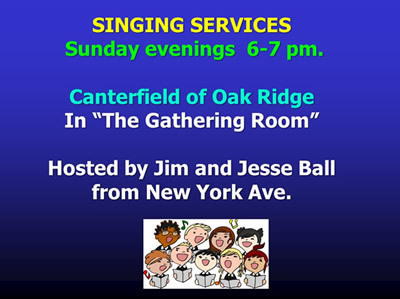 Led by Jean-Luc and Penelope, this is an ongoing event usually held on the first Sunday of the month. 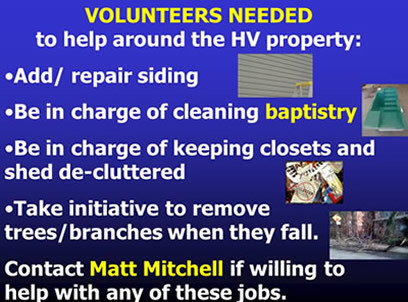 We need kingdom workers to help with the requests below on behalf of several ministries. To see more about our Ministry System, click HERE. 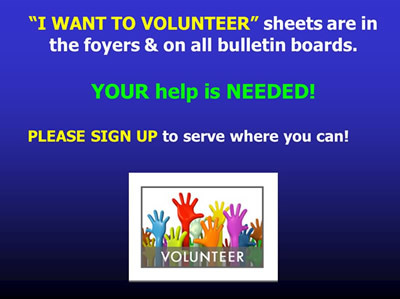 The ministries included in these requests are Special Services, Benevolence, Helping Hands and Assemblies Ministries. 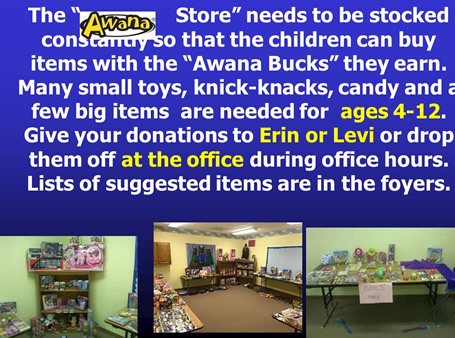 Once each quarter, our AWANA students get to "spend" their AWANA bucks in the store. The store is stocked with donations of prizes appropriate for children ages 2 years to 8th Grade. AWANA centers on memorization and understanding with rewards and lots of involvement from older teens and adults with the young learners. 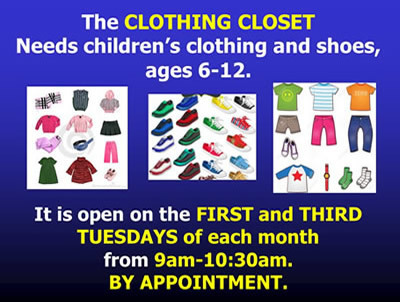 Please look around and donate items for our store that kids would enjoy, or would like to give as gifts to their family. You can make something for kids, or you could even visit the dollar store and get a few trinkets that would make good rewards for them. Thanks for your constant support, Highland View!